You’re probably familiar with drivers if you’ve been using various devices with your computer. They’re some handy software components to ensure that your added devices work properly. Your computer’s internal hardware also requires the correct drivers so they’re definitely essential to keep up to date. Although Microsoft Updates should provide critical updates regularly, there can be many device drivers left out. This is why it’s recommended to get a powerful updater tool. These programs are free to use and can be very convenient as they remove the need to manually search for the correct drivers yourself. They also work much faster than the basic tool provided by Windows. It’s important to stress that driver updater software should be always free. Don’t be fooled into thinking you’re getting anything extra by paying for such a program. There are known scammers who try to sell you paid software for doing such a basic job you can easily do yourself. These free tools are just to remove some of that hassle, nothing more. Let’s see which are the best free driver programs, the most comprehensive tools for dealing with outdated hardware. One of the most impressive options for a free driver updater tool is DriverPack Solution. It’s designed to be safe to use and provides excellent compatibility with any type of computer. It definitely represents one of the fastest and most convenient ways to get your computer’s drivers up to speed. The first thing that you will notice about this software is that it provides a very intuitive interface. It’s a good match for both beginners and more professional users. Among the devices suitable to receive the correct drivers we can count webcams, printers, card readers, video/sound/network cards, controllers, and many more. Configuration is done using just a simple action. There are no classic install wizards that require clicking through additional prompts. The application discovers the newest drivers for your computer and doesn’t bother you with extra clutter. Everything is kept nice and tidy, so you can deal with this process as fast as possible. In terms of operating systems, the latest version of DriverPack Solution should work with any Windows version from the newest Windows 10 all the way to the older Windows XP. One thing we liked in particular about this software is how lightweight is designed without sacrificing too much functionality. You can store the program on a portable device if you prefer to launch it that way. It can work easily from any folder too. One downside of this tool is that it also comes with a downloader for extra programs which aren’t necessary. Just make sure you skip those. Interestingly, this tool works even if you’re not able to connect to the Internet. For that, you’re required to select the Offline version of DriverPack when downloading it. Then you just use it for the particular computer that lacks the Internet connection. One great feature of this program is that it shows all the details needed to be sure you’re getting the right update. The tool provides you with information regarding the newest version of a driver and allows you to compare it with the current driver version. It’s comprehensive enough to list all the hardware drivers of your computer, not just those that are outdated. Sometimes you need to download a more specific driver set, like for a Bluetooth device for example. To make things easier, the tool can download the drivers in an archive that contains separate folders organized by manufacturer. You can then use precisely what’s required for your device. In conclusion, DriverPack Solution can be considered a highly capable tool for maintaining your drivers up to date. It’s a minimal program, but very well designed with a user-friendly interface. For a free software, this definitely offers more than you’d expect, taking into account its flexibility and speedy performance. Anyone who wants an extra boost in the stability of their PC should check out the free version of Driver Booster 5. This handy utility has been created to identify driver problems and quickly solve them. It’s designed to cover virtually any modern Windows PC as it offers support for Windows 10/8.1/8/7/Vista/XP capable to correct more than a million drivers. There are many signs that this is a well-designed product. The interface is clean and elegant allowing you to effortlessly browse through and select your desired options. Every driver that requires an update comes with clear information next to it. You can see stuff like size, release date, and compare the versions of the drivers. As this is the free version, there’s some manual work to do. You have to go through regular checks to ensure that your system is always equipped with the latest drivers for optimal performance. Driver packages are managed by the program and you can even batch download them for extra convenience. Those who are short on time will surely appreciate being able to download everything with only a simple click. Whenever the definitions database of the program receives an update for a driver, Driver Booster can automatically alert you so your job is just to go through a few clicks. This is a neat feature but unfortunately is only available for the paid version. Still, you don’t need to update your drivers all the time, so you can remember from time to time to scan for new updates. As with other similar software, this tool can smartly hide away all those installation pop-ups so you can smoothly get through the process of updating all the drivers. If that’s still not fast enough for you, there are some interesting options available. Some updates are deemed more urgent than others as certain drivers are older than others. Therefore, you can prioritize those drivers to be updated first and deal with the rest later. One thing that we really appreciate about this software is how you can export the list of obsolete drivers to a simple text file. In it, there’s all the relevant info included too, such as hardware ID, vendor, and device name. When all the driver updates are completed, the computer can automatically restart or shut down if you set it to do so. Besides the usual set of drivers, this program is also capable of doing additional scans for other utilities such as DirectX and Adobe Flash Player to ensure they stay up-to-date too. With other updater tools, you can accumulate useless files in the form of used driver packages. Using a simple setting, you can enable Driver Booster to deal with any such package after installation. It removes it from your computer as it will no longer be needed. Overall, the Driver Booster 5 free version is a powerful tool that delivers on its promises. There are some limitations, but nothing that affects the utility of the tool. It’s required to have a good network connection to be able to fully take advantage of its abilities. Simple-to-use and nicely designed, this deserves more recognition if you want to keep your computer in peak performance using the latest driver updates. The next driver updater tool on our list is called Driver Talent. It has great potential if you’re looking to upgrade any outdated drivers without too much hassle. Whether you have outdated, missing, or corrupted drivers, this program can discover all the problems and swiftly deal with them. There’s a decent amount of features available in this tool despite the fact that it’s a free program. One of the most interesting abilities is to reinstall drivers that are already updated. The reason why this might be useful is if you’re struggling with driver issues and there’s no update in sight to fix those problems yet. 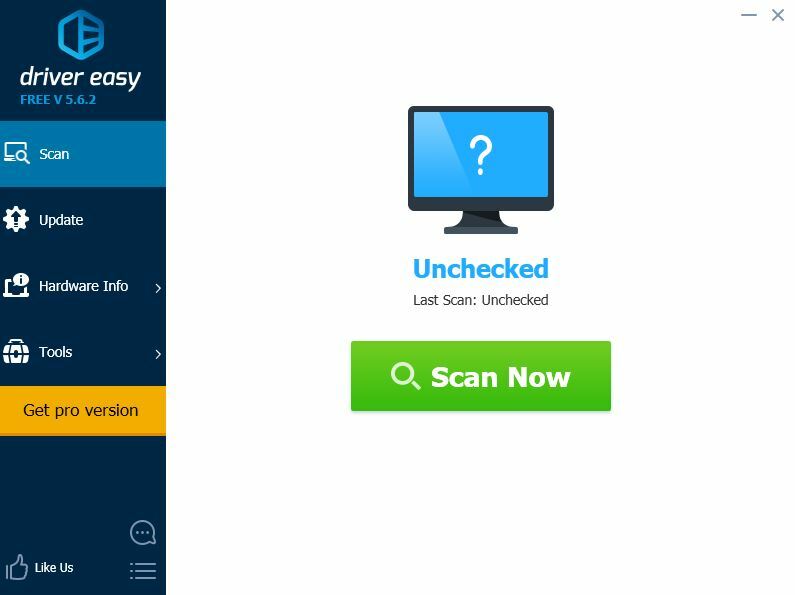 Scanning for updates with this tool is done manually and without too much effort. To make sure you’re getting the correct update, there’s the option to compare driver versions. You can also verify the release dates. Another nice option is the ability to select a particular version, not just the latest one currently released. That could be helpful if the latest driver has some incompatibilities with your system. After you finish the driver update process, it’s usually time to do a reboot. You can let the software do that for you by activating the setting for automatic restart or shutdown. 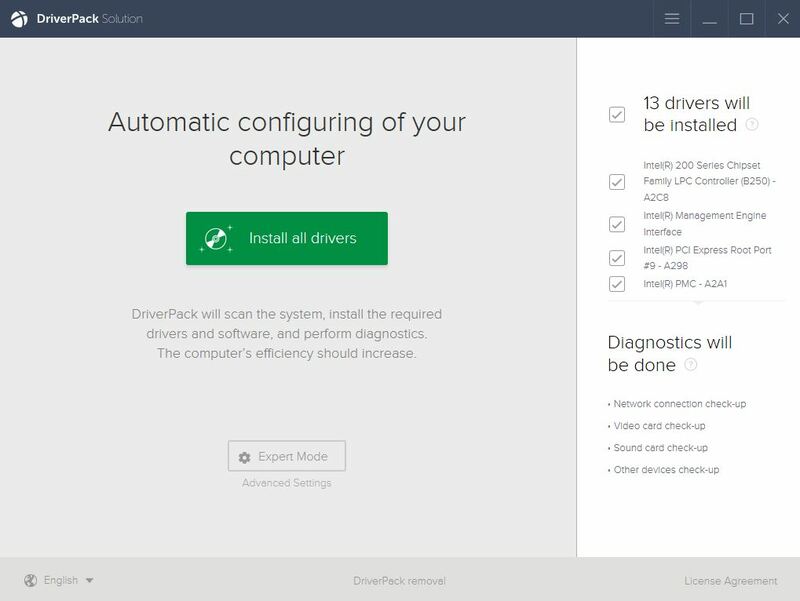 An option to pre-download is available so you can save drivers and then transfer them for doing the installations on another computer. All in all, the performance of the tool when it comes to downloading and installing is quite impressive, slightly faster than others on this list. Driver Talent manages to bring together a solid set of features for free. There’s the lack of bulk downloading that’s considered the main drawback, but apart from that, this is an excellent tool. Highly recommended for its clear UI, safety, and the fast performance. 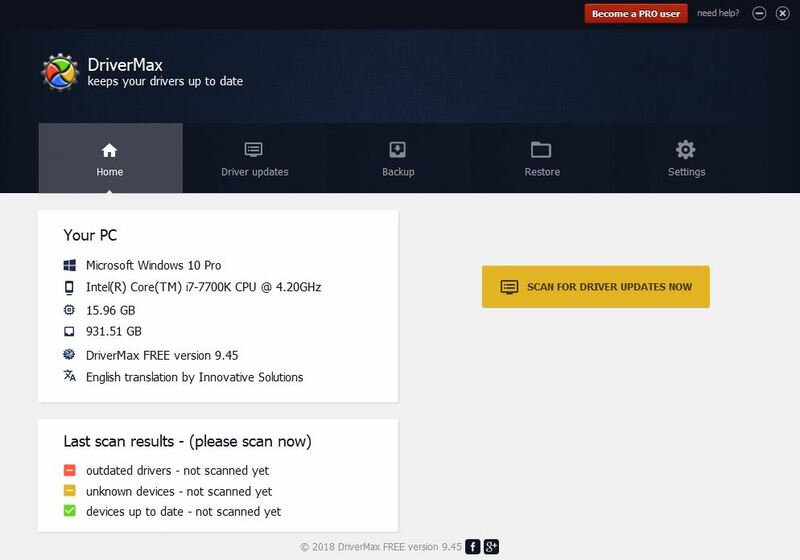 One solid updater tool to try is DriverMax, a free software with support for backups and automated installs. The main drawback is that it doesn’t allow for unlimited downloads. You’re restricted to a certain number per month in an attempt to buy the full version. That’s really not such a big deal considering that in most cases there’s no need for lots of frequent downloads. All the most recent Windows versions are compatible with this utility. It can work with the old Windows XP all the way up to the latest – Windows 10. Something that’s really convenient regarding this software is its ability to automatically scan for newer drivers every day. You can set the time that works best for you. The way this tool lists the device drivers is quite intuitive. It doesn’t show just those drivers that badly require an update, but it also displays those that are already using the latest versions. One powerful feature of this program is to backup drivers as well as restore them. If needed, you can also go back to a previous driver version. The download process keeps you in the program. There’s no need to visit other websites and for extra security, you can always check the option to install just signed drivers. The setup when installing DriverMax is clean. No unnecessary programs come packaged with the tool which is always a good thing. One aspect that could be considered a bit strange is how the tool also has a daily limit for its downloads, besides the monthly one. You can only download a total of two drivers in a single day which is quite disappointing. Going over 10 downloads a month is again not possible, so it becomes apparent that this is a free utility. While the limitations can definitely affect your productivity, that shouldn’t pose a huge problem for the task of updating drivers. There are many other advanced features in this program which justify using it even with these download restrictions in place, including the restore point creation, scheduled scans, and quick installs. That’s why DriverMax is worth a download. If you’re looking for something that can do more than just install the newest drivers, DriversCloud could be the best tool for your needs. Apart from downloading drivers, this software incorporates a BSOD analyzer and provides relevant information about your system and network. One unique aspect of this updater tool is the way it works relying on your web browser. After it installed the required utility on your PC, the tool then offers download links for the obsolete drivers it detects. The fact that it’s designed to run in the Internet browser can be helpful under certain circumstances. The information collected by the tool can be more easily shared if you’re in touch with technical support. Compatibility-wise, this tool doesn’t disappoint. Besides the latest Windows versions, it can also handle Windows XP and Windows 2000. The ability to use this software offline is one of the standout features of the program. 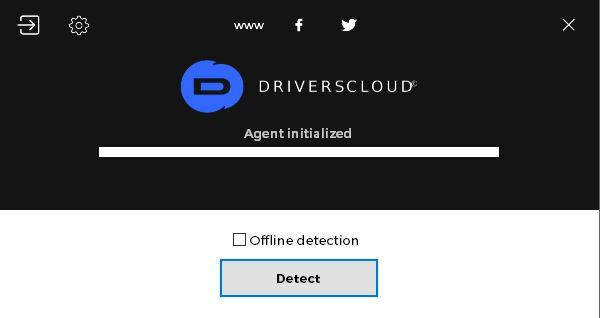 DriversCloud can run without maintaining a network connection if you choose its portable version. Scan your system for updates even if you’re offline. This could come in handy particularly when the network card’s driver has malfunctioned. The interface is designed with ease-of-use in mind. All the drivers come with detailed information and there’s a very useful function to show even drivers that are up-to-date already. We’ve found it a little strange that new driver updates don’t show the version number. At least you can see the release date, so it’s a non-issue. To conclude, the DriversCloud program is not a bad driver updater tool for a free software. It’s recommended more for users who are used to working with this type of tools. The interface is relatively simple to navigate for most users, but for beginners, it can feel a little cluttered. It’s a solid tool overall, even if you need to do more manual work compared to similarly-featured software. Driver Easy is one complex tool with many powerful capabilities designed to be helpful to novices and advanced users alike. It’s able to directly download all your missing driver updates, but the job of installing them remains to you. What’s great about this program is that it’s completely free for commercial use too. The developer of this software paid some extra attention when designing the interface. It’s packed with some interesting information about your machine focusing on any hardware aspect while also including operating system data. This tool relies on a very large database of more than three million device drivers. To figure out which driver to download, the program offers a comparison between what you already have installed and the newer version of the driver. Important info such as release date and version are displayed for your convenience. With a few easy clicks, all your driver updates will be downloaded in no time. Driver Easy stores every package for you to install. This is one of the main drawbacks of this free updater tool. It’s not that bad though. In a couple of minutes, you can deal with this task. If there are multiple drivers that need to be downloaded you will need to wait a bit for each because bulk downloading is not available for the free version. In fact, there are lots of tempting features that are seemingly available, yet when you actually try to use them, they don’t work unless you pay for the Pro version. That’s quite annoying, but it depends on whether those features would be truly useful for you. One example of a function that’s locked this way is the ability to backup drivers. This program has other strengths that make it worth considering. It does provide a way to work offline, with a slight limitation compared to its competitors. The tool can’t be used normally without being connected to the Internet, it can only be helpful for fetching the network driver. After the Internet problem is solved, the program offers you the usual options to download any other updates for the rest of your drivers. A great feature of this program which many users can find helpful is the scheduler. 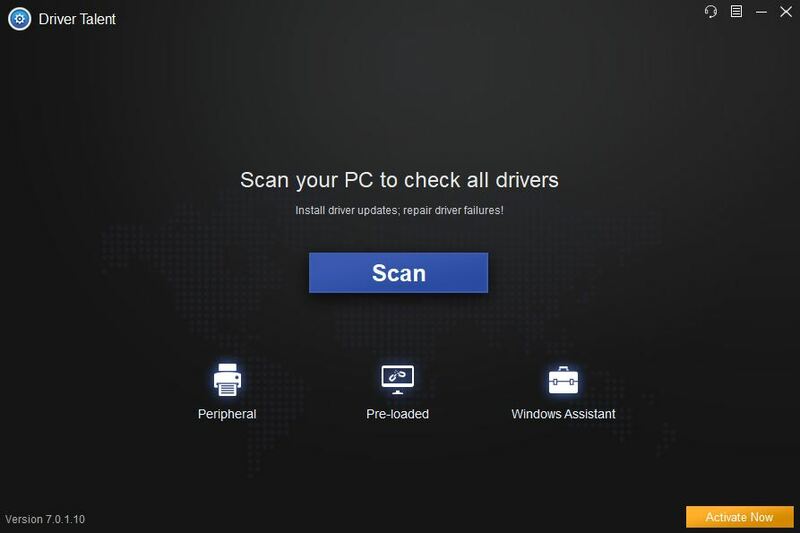 You can configure the tool to start a quick scan for new drivers when a certain condition has been met like for example, at startup or anytime your system goes idle. If you’re using a laptop you can even ensure that scanning stops when the computer runs on batteries. The scheduling function of this tool is one of the most versatile we’ve found in any driver updater program. All things considered, it’s safe to say that Driver Easy deserves a mention on this list of free driver updater tools. 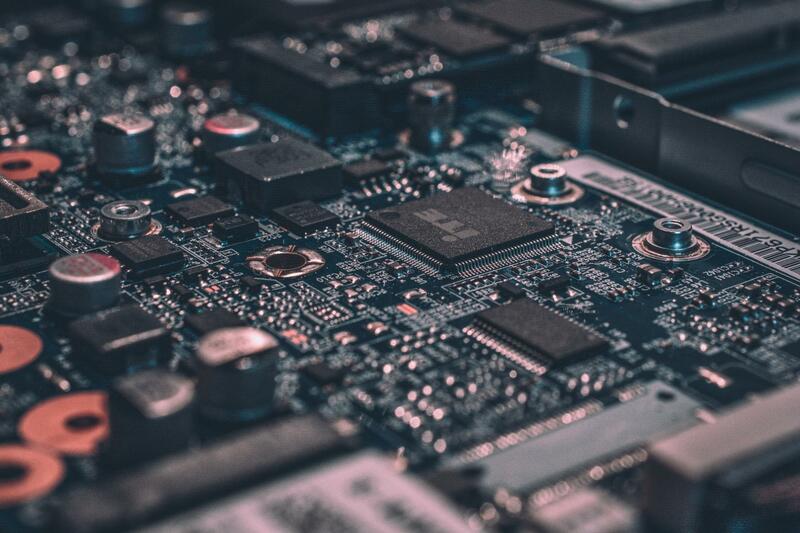 It’s reliable when it comes to finding the newest drivers for your devices and hardware components. 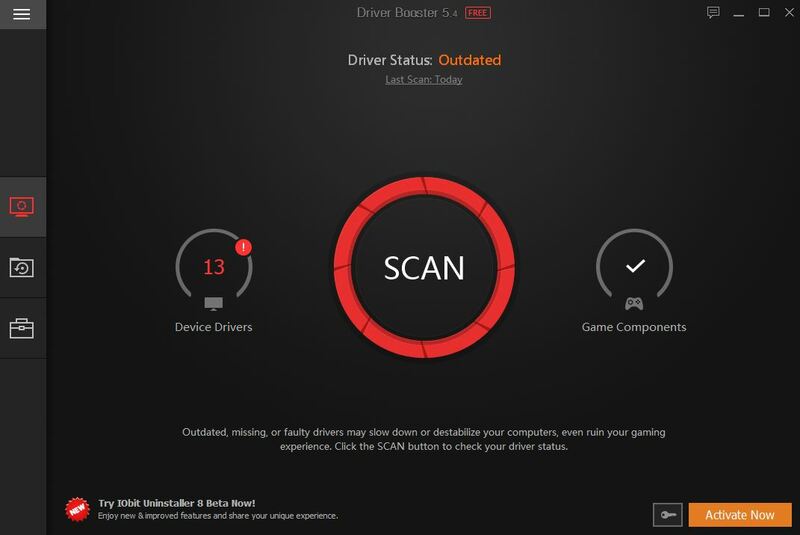 Anyone unsure about where to look for updating their drivers should try out this free tool. There are better solutions out there which don’t make you install the downloaded updates yourself. This program may not be without some flaws, but overall it does a decent job. 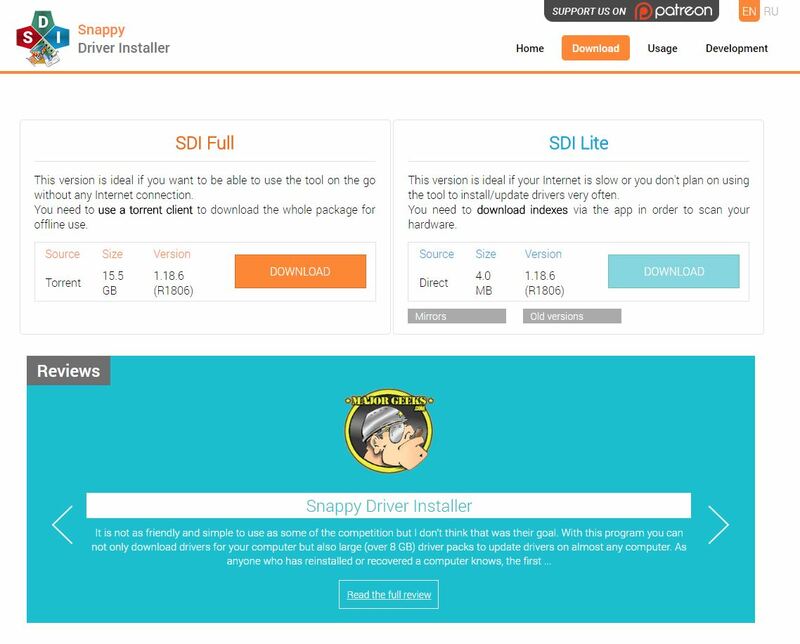 Capable of maintaining all the required drivers offline, Snappy Driver Installer is the next updater tool to consider if you suspect your drivers are outdated. One defining characteristic of this software is that it does all the work for you. That means it finds and downloads the drivers, as well as installs everything. Those without an internet connection will certainly appreciate the ability of this program to provide access to offline drivers. Basically, you can get lots of essential drivers downloaded and then use them on a computer that lacks network connectivity. The way this program works is simple. It creates sets of multiple drivers into driverpacks which contain all the required updates for your hardware devices. There’s an option to use a Torrent file, but you will need more disk space for that. A recommended option is to use the Lite version of the program and simply download only the essential drivers. One aspect regarding Snappy Driver Installer that some users can have some problems with is the user interface. It’s not that intuitively designed like Driver Booster 5 for example. There are many features included and the interface seems a little overwhelming for beginners. That’s not such a huge issue if you’re patient and learn how to use the tool. What’s great about this software compared to others is that it supports bulk driver downloads and can also install multiple drivers at the same time. Even though it’s free, the program doesn’t seem to have that many restrictions that you’d usually expect. There are no ads and downloads speeds are also unlimited to get the job done quickly and efficiently. An option for creating restore points is available which is useful in case something goes wrong with a new driver update. It would have been great to be able to schedule regular updates checks, but unfortunately, that feature seems to not have been included in the tool. All the necessary driver information is displayed by this software. You can rest assured that you’re getting the correct drivers as you can always check the version number and release date of both the current drivers and downloaded updates. There are also other details provided such as manufacturer and HardwareID. After a big driverpack install, it’s pretty much mandatory to do a restart. Sometimes, however, you don’t actually need to reboot your PC for a small driver update. Those critical updates that definitely need to go through restarting are highlighted in orange so you can clearly see them. It’s nice that restarts won’t happen automatically allowing everything to install properly. This tool works with any recent versions of Windows including Windows 10 and Windows 8. There’s also support for older versions such as Windows 7/Vista/XP. When you finish downloading the Snappy Driver Installer make sure you select the correct EXE file according to whether your Windows version is 32-bit or 64-bit. The final conclusion for this free driver updater tool is a highly positive one. Snappy Driver Installer is actually a very solid option compared to other software in terms of features. It’s packed with a surprisingly large amount of capabilities even though it’s free to use. The only large problem with it is that it’s not as user-friendly which could turn away many potential users who aren’t used to work with this kind of utilities. 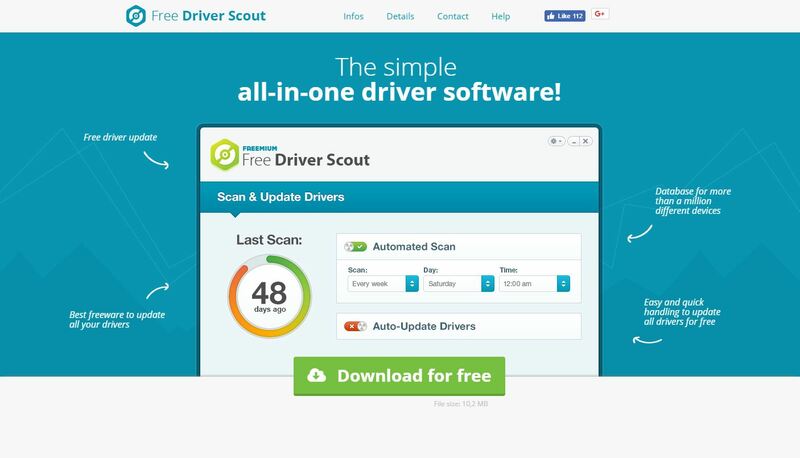 A decent choice for a free driver updater tool is Free Driver Scout. It’s easy to use and configure and has lots of attractive features like bulk downloads and automatic installs. The problem with it is that it doesn’t seem as capable as other free software out there to find all the outdated device drivers. The main feature that makes this little application worth checking out is the ability to make quickly automated installs for any driver. This can reduce a lot of work on your part as all those extra taps and clicks are no longer needed. The program detects the correct drivers, downloads, and installs them by itself for maximum productivity. That’s incredibly convenient, especially for users who don’t want to bother too much with this process. User input is not required while the application does its installing job. Other solid benefits of this software to consider are the manual and scheduled scans as well as bulk downloads. New driver updates can be installed on any recent Windows system from Windows 8 to Windows XP. While it’s not officially supported, Windows 10 appears to be compatible too. An OS Migration Tool is one interesting feature of the program which enables the user to get drivers for a different operating system than their computer. The tool delivers one-click maintenance for an effortless driver updating experience. There’s an automatic scan function which boasts some customizable options like time and range of the scan. In the download manager of the tool, you can see all the results of the scan. You can choose to exclude some devices that you don’t need to update and there’s also the possibility to download updates manually. Creating backups is always a good idea when making changes to device drivers. This tool is equipped with a backup & recovery function which can be set to work automatically either for all drivers or just your selection. The restoring process works well too. The interface is simple to use and there are multiple languages available. Besides the poorer performance when it comes to detecting newer drivers, another drawback of this program is the sneaky attempt to install other programs during setup. This can be easily avoided though, so it’s not something to worry about. The program is perfectly safe to install and use. Just make sure you select the Decline button for those additional offers. When you take into account its ease-of-use and customization features, the lightweight Free Driver Scout deserves a try if you want to update your drivers without too much hassle. If you prefer doing as little work as possible, this is definitely the driver updater tool to choose. It has some downsides, but overall it offers a lot considering it’s absolutely free to use without any hidden fees. Did you find our article helpful? Then we have some more articles for you about How to Fix a Blue Screen of Death and about the Best Free PDF Editors.